What if New York had the world’s tallest building? 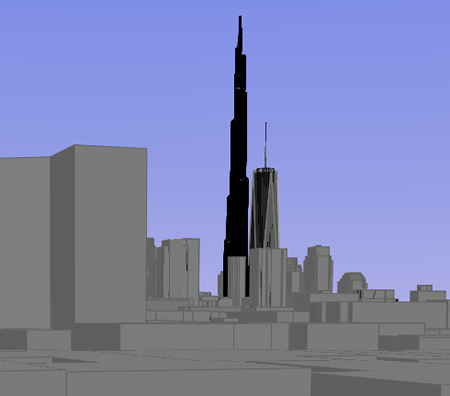 How would New York’s skyline look if it once again held the world’s tallest building? It’s a question I’m sure many New Yorkers have asked themselves. I know I have. New York hasn’t been home to the world’s tallest building since 1974, when the title went from One World Trade Center to Chicago’s Sears Tower. Since then, it’s shifted to the Petronas Towers in Kuala Lumpur (undeserved, in my view — anyone can add a spire) and subsequently to Taipei 101. Currently under construction is the Burj Dubai, which will be at least 700 meters tall when completed in 2008, easily making it the tallest structure anywhere. Here is the KMZ file (580k) containing all the content for this post, so you can try out the view from your own vantage point. Credit for the Burj Dubai goes to ZNO blog. 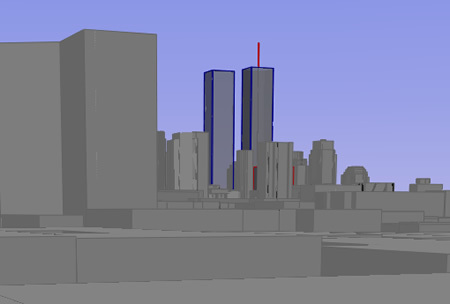 Credit for Freedom Tower and WTC models: Equitus. Nice work Stefan! I’ll write you up in my blog tomorrow! 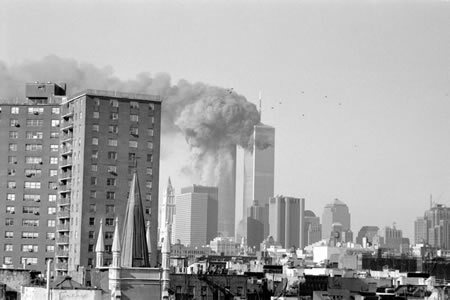 :-) Didn’t know you had seen 9/11 in person. I’m not convinced by these renderings. WTC was 1368 ft, while the top floor of FT is about 1350 ft and the spire goes up to 1776 ft. Burj is 2300 ft. But the difference between Burj and FT seems much larger, to my eye, in these renderings. 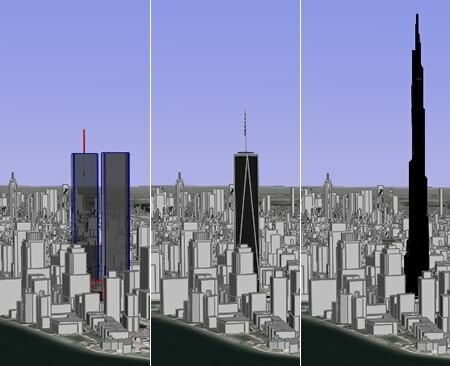 Still, this is crazy: everyone remembers how out-of-proportion the WTC was. Burj is crazy tall. Impressive piece of journalism 2.0: personal and touching, tech savvy yet easy to be understood, mixing media (text, images, the kmz piece of software), a truly interesting topic. Congrats. I just looked at the KML and the building you see in these pictures goes to 743m. Perhaps ZNO knows something we don’t, perhaps its an inspired guess, but if not, lob 5% off the height — which is not that big a difference. Mooi stuk joernalisme en technisch vernuftig. De NYT zou dit moeten overnemen…! I really like the topic and the pictures helped a lot in comparing the height of the Burj Dubai with the Freedom Tower.